If you recall, I reported last November on the possibility that an Obama baby boomlet could occur in August (this month). It’s time to report on whether that actually occurred. The Chicago Tribune reports that, “In Chicago, ground zero for Obama's election celebration, area hospitals confirm that they have not seen a noticeable surge in births.” However, one medical center did report that “nurses were unusually busy” (presumably in the birth center). Speculation has it that births are more planned and managed in modern society than they were at the time of the baby boomlet that Obama was a part of. If you recall, about 40 weeks before his birth was the election of JFK. The Trib goes on, “Though his election apparently did not spawn a generation of Obama babies, the president may be tickled to know he has inspired a generation of baby names.” Barack has skyrocketed up the list of the most registered baby names since the time of Obama’s election campaign, from 12,535th to 2,409th. Healthcare reform is all the politicos are talking about. It’s a gigantic battle, and the planets of August reflect this process — every one of them. One of the things we are experiencing is a yod pattern (a giant triangle) pointing at the hugely important Jupiter-Chiron-Neptune conjunction in Aquarius, with Mercury sextile Venus at the base. (See Chart A.) What is also interesting is that the Sun will fill in the release point at about 25̊ Leo around August 15. What is also interesting is the fact that this is the degree of President Obama’s Uranus, and very near his North Node. This gives us insight into Mr. Obama’s purpose on the planet, as well as what qualities he is refining in his character. Leo is one of them. Leo has a tendency (especially a Leo with Sun square to Neptune, I might add) to sycophancy (people-pleasing). Obama needs to step up to the bully pulpit and carry the energy of Uranus the disrupter in order to get healthcare reform to pass. This is his lesson — not to get this particular reform in place (although that may fit in with other factors in his chart, such as Pluto in Virgo), but to stand up to people he admires or are his elders. Uranus in Leo must break through their cycle of adulation and approval-seeking to speak from the heart, perhaps stridently, to accomplish a goal. North Node in Leo suggests that he must lead in the right way — by motivating, inspiring, and persuading. He must also lead using his Jupiter in Aquarius (triggered by July’s Solar Eclipse). Lunar Eclipse near his Birthday Brings Challenge. 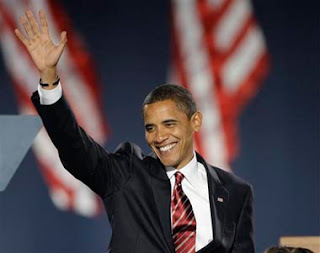 What’s also significant is that the Lunar Eclipse this week occurs one day after Mr. Obama’s birthday, and this puts pressure on his Sun-Neptune square to get over his adulatory tendencies. He may feel “snowed” right now, but he has to get his message out there consistently. It is my opinion that he has been doing a pretty good job of this, but the corporate media are participating in minimizing his air time. In fact, many other corporate sources are working to minimize his effect by running spurious ads and issuing talking points to right-wing pundits and legislators. It is very clear: The stranglehold that the health insurance industry has on the US and its people creates a near total eclipse of the people’s power (tied to the current series of eclipses). 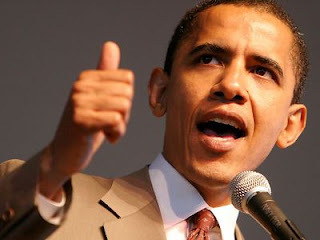 There is no question: This is a turning point in Mr. Obama’s presidency, as well as for the nation. 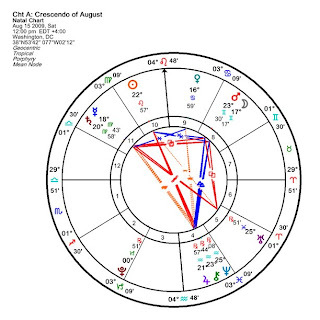 In particular, we will see the pressure on him and his policies reach a peak in mid-month, and his response for the rest of August will show us how well he is using these energies. He has done surprisingly well in the past to exceed expectations. Let’s hope the trend continues.